Oftentimes, it's just a matter of how you display your jewelry. 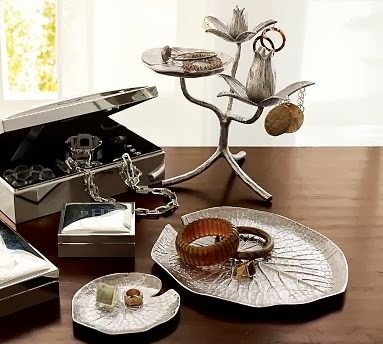 The way you artistically arrange your products and how you give emphasis to each piece is a great way to impress would-be shoppers and can give them more reasons to love your jewelry. Visually appealing displays can get the attention of more shoppers, compared to a haphazard display. So instead of being lazy with your display, it’s time to invest your time and energy in creating a picture perfect arrangement that will bring your jewelry business to a whole new level. Want to discover how you can do it? Here are some of our tips. The color scheme you choose to create your necklace display busts should reflect your brand or the nature of your products. 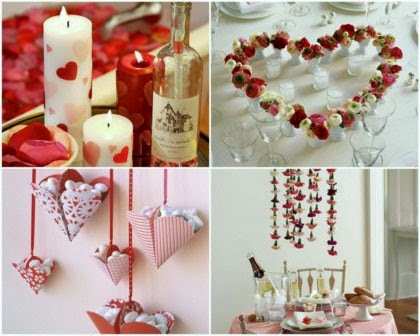 You can also take inspiration from the ongoing season or from special occasions in your neighborhood. Deciding on a color scheme will let you use different impressive colors while keeping display simple and well organized. Most of the times, it’s the little things that people will notice in your store. Complement an intricately designed jewelry with sweet jewelry tags, or set a high end necklace on top of high quality jewelry bust. Don’t settle for mediocrity and keep everything as neat as possible. If you’re determined to create a style that will make your store unforgettable, focus on the details of your display and stop only when you’re already satisfied with your work. Don’t just put random things together. Imagine how you can use your jewelry to present a story or create a scene that your customer can easily relate with. This will specifically improve your sales during shopping holidays like Christmas season or Valentine’s Day. Use different materials and enhance it by using the right lighting effect to emphasize your display. After coming up with a way to display your jewelry, take a snap shot of your store and ask your friends or loyal customers about their thoughts on your creation. You can even post a photo of it in Instagram or Pinterest then ask others to like or repost your photos to help promote yourbusiness to a wider audience. In the midst of recent credit card information precautions due to incidents at major retailers Target and Michael’s, we find it necessary to address particular concerns regarding our own website’s security. Despite recent claims of subsequent charges stemming off of recent purchases from Nile Corp. we have taken proper measures regarding investigation and security to ensure that none of these claims have been directly correlated from shopping on our website. Our IT team has ensured that we are PCI compliant on all levels. Our SSL encryption is 128 byte which makes it very difficult to break into. 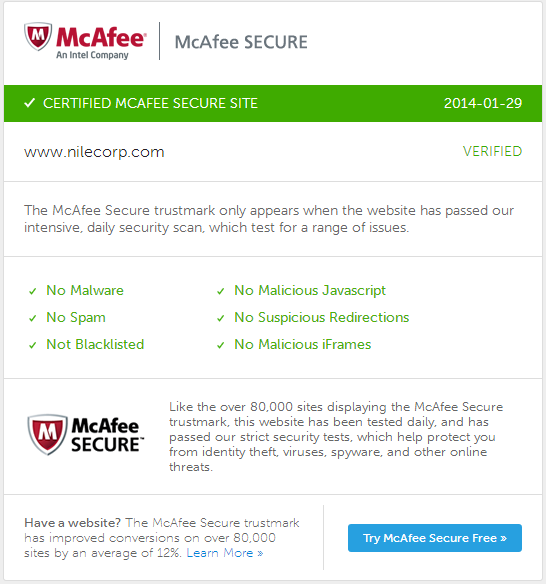 We have up to date certification from Trustwave, Site Lock, McAfee, Go Daddy SSL Certification, Business Consumer Alliance (BCA), Authorize.net, and Paypal. 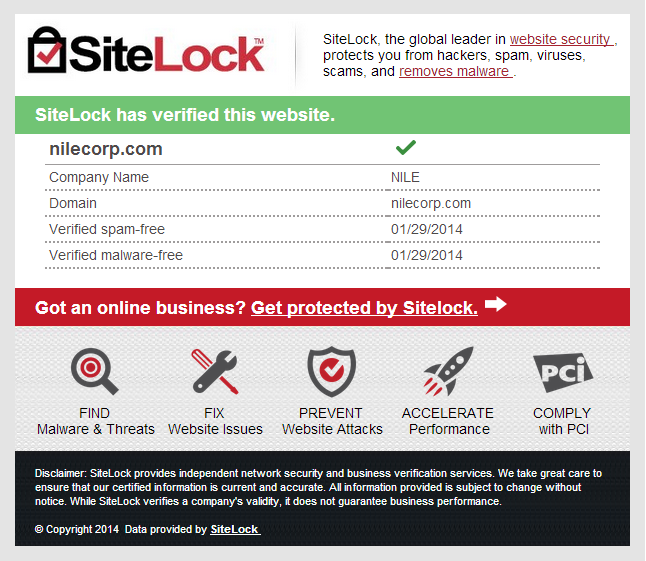 You can click on the seal page to see all of our recent verifications and company information. We want to ensure all of our valued customers that we greatly appreciate your business and that your order information is safe with us. 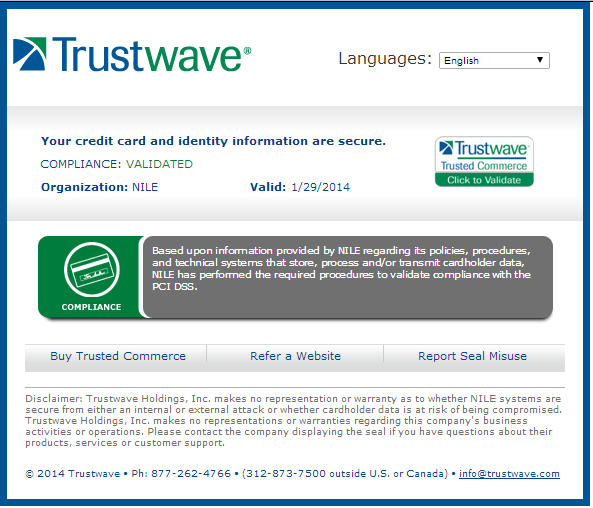 We use Authorize.net and Paypal and do not store your credit card information on our website’s database. 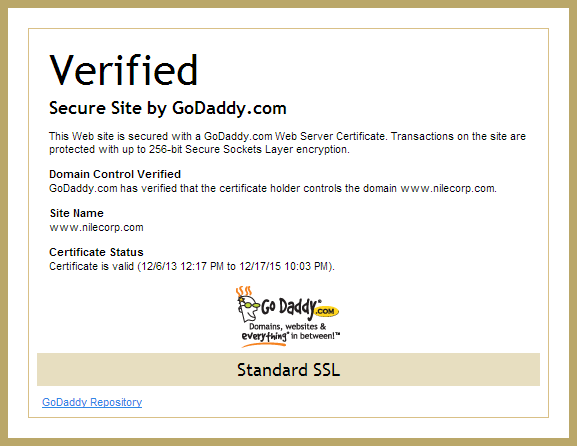 You can regularly visit our SSL open source and verify our security for your assurance. We’d like to take the time to educate our customers about shopping safely online. Before putting in your credit card information you should always make sure an online store is up to date on necessary certifications and anti-virus programs. A common mistake with the rise of online shopping is that consumers leave too much personal information on computers that are open to viruses. To avoid having this happen to you shop on secure websites only and thoroughly research the companies’ credentials. Pay with a credit card, which offers better protection than other forms of payment. By taking these simple preliminary precautions you can help lessen the chance of putting yourself at risk from fraud online. We hope you can trust us as your first choice for earring display holders, necklace display busts and jewelry making supplies and continue to shop with confidence. Welcome to the first shopping holiday of 2014! After everyone is done with the Christmas hangover, customers are now ready to shop for gift items to once again show their love for their romantic partners. And because jewelry business is one of the most profitable ventures during this season, your competitors are most likely to be well on their way on planning the best marketing strategy to capture the Valentine’s Day shoppers. So how do you plan to engage seasonal customers? How can you convince them to step inside your store and purchase your products? One way to keep your business afloat this love fest is by creating a window display that can grab the attention of passersby and invite them to purchase jewelry from your vintage necklace display. In today’s blog, we’re giving you some tips on how you can create a window display that can help drive foot traffic inside your store and leave a favorable impression about your brand. A potential customer can instantly tell if you prepared well enough for this shopping holiday just by looking at your window display. So instead of just pulling off whatever you can, why not sit down, think and draw strategy to win the competition. Look for inspiration on creating a catchy window display over the internet or business magazines, and think how you can apply it to your business. When creating a design for your window display, imagination is your only limit. If you’re thinking of just getting a table and scattering your jewelry on top of it, just forget it altogether. Go to a thrift shop, or engage yourself with DIY works. 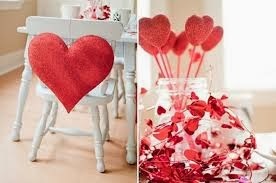 Don’t just fill your window display with red hearts and cupid’s arrow. Tell a story, deliver a message or create something interesting with your necklace display and you’re sure to win the hearts of your customers. Men will be looking for engagement rings while ladies will be looking for accessories to fit their evening wear. 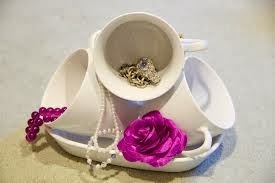 Bring out the jewelry that your customers will need and display it in the most noticeable way. Highlight valentine’s ready jewelry on your window display to engage seasonal buyers. Use the right kind of lighting and utilize the space on your storefront to help you create the right display. 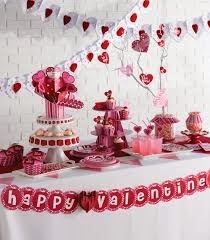 Valentine’s Day brings a lot of great opportunities for your business. Make the most out of this season by coming up with a window display that will tell more about your brand and your business. What Makes a Jewelry Shop Attractive to Customers? Attracting the people who walk by your store every day is one of the easiest ways of growing your jewelry business. Especially when the competition is stiff, it’s important to discover what arouses people’s interest and what you can do to draw them inside your store. If you want to see potential customers pushing through the door, you have to make sure that you are giving them something valuable, something that will make them choose you over thousands of competitors. Attracting few customers each day will have a great impact on your business and can help establish customer loyalty and greater profit. Sometimes the overall mood of a store alone can make your store look and feel more attractive to customers. A positive vibe makes people more relaxed and has better impact on their shopping experience. Train your staffs to keep a positive attitude whenever at work and encourage them to serve with a smile to make your store look inviting. Bright and clear lighting installed strategically can give your jewelry an extra sparkle, making it more noticeable to customers. Dull and dim lights, on the other hand, can easily bore people, making them leave before looking into your products. Walk around your store. Does the store lighting helped in highlighting your jewelry? Is it able to emphasize its uniqueness and design? Don’t let shoppers go without being noticed. Talk to them, get to know their needs and make suggestions about what item on your necklace display can look great with their outfit. Hang different business signs and posters with informational or entertainment value to encourage people to hang out more in your store. 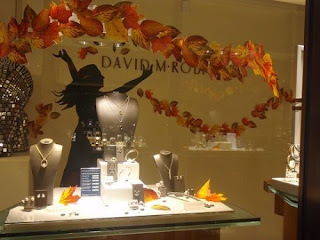 Your window display is a great venue to showcase your creativity and dedication to your craft. Instead of doing a haphazard display, come up with a unique way to present your jewelry. Create a story through your necklace display and let it make a statement that will speak more of your brand. There are dozens of things that can make a store more attractive to customers. From the colors you use to paint the walls or the music you played in your store, it’s usually the small things that people will notice. However, it’s also the small things that we usually take for granted that can drive them away. So if you want to make your business thrive in this industry, it’s time to make those little things count and encourage buyers to come back. Getting it right at jewelry trade shows can open bigger opportunities for your jewelry business. Whether you’re a retailer or selling your handmade jewelry, it’s important to expose your brand to a bigger market by joining art shows and trade shows in your area. Being a successful jewelry seller at trade shows takes a lot of hit and miss. From building up your jewelry display to making a profitable income, you will learn a lot of things that you can only get from experience. But when you finally figured out the rules of the trade, you can get the hang of things and enjoy the whole process. One of the most important aspects of joining trade shows is your booth display. Creating an attractive display table drives customers in and keeps them interested in your products. Before joining any trade show, it’s best to research on different ways on how you can create a necklace display stand or earring display and how it can be used to. Take into consideration the materials that you’re going to use in building up your display and how long will it take to have it completely ready for the show. For some jewelry seller, it can take up to 4 hours to have their booth ready, but as you get more experienced, you can eventually create a system that allows you to work more efficiently. When thinking of items to bring in for the show resist the temptation to put everything on your table. What you can do is decide on your best product and highlight it your show. This way, customers can easily associate your brand to your jewelry leading a better brand recall. As much as you can, it’s best to keep standing to greet people who come to visit your booth for the whole duration of the show. Your energy can easily be picked up by trade visitor and will make them feel more at ease to check out your products. Also learn how to handle rude customers as they are everywhere and should not affect you negatively. Put labels and price tags on each of the items on your earring display holders to make it easier for your customer to go around your collection. You can also make your booth more recognizable by hanging the name of your business in front of your given space. Include an information card or leaflet with every purchase so they can easily check out your website or contact you in the future. These simple things will surely help you have a more profitable day at any trade show you’re going to attend in the future. When retailers think of methods to efficiently maximize their space inside their store or booth they typically think about floor space. Wall space is of equal importance and should not be left alone. If you’re currently not optimizing vertical areas in your store, take advantage of wall mount fixtures and jewelry display stands to help boost your level of space and help give your store a more comprehensive total look. You’ve hopefully taken the opportunity to examine how shelves can advance your store’s appearance and maximize space. We recommend something that is functional and still minimalistic so that it won’t overwhelm the rest of your space. Don’t forget that you can create your own shelving with acrylic displays, which will blend well on the wall. We recommend trying to incorporate slatwall displays. If you have more room and time for a more advanced level of shelving you can opt for the fixtures are usually available to customize with earring and necklace display mount cards that will For instance, boutique items can incorporate little glamorous details and customize your space. Wall décor is an amazing way to decorate your storefront and also put together the finishing touches on your space. This might include using paint in shades that compliment your existing display colors of store fixtures. We recommend using acrylic pieces so that they will tie in with whatever seasonal wall décor you may chose. With a busy schedule and demanding lifestyle, customers nowadays are always looking forward for a hassle-free, smooth and easy shopping experience. Especially now that there are a lot other ways to shop, people are most likely to go for brands that can provide convenient shopping coupled with excellent customer service and quality products. Do you go extra mile in making sure that your customers are having an excellent time in your jewelry store? Do you invest in tools and equipment that can help them find what they need? If you think doing a half hearted service is enough, you might be missing a lot of opportunity to grow and attract more shoppers in your jewelry store. Here are some simple, quick and easy ways on how you can provide convenient shopping for your customers. Don’t let clients go digging through piles of accessories. Instead, keep everything in a neat display so they can easily find what they need. Look for necklace display cases or earring racks that can neatly display jewelry while still letting the customers touch and try on different pieces. If your customer is in a hurry, she would really appreciate accurate product pricing and labeling. Imagine the time you and your customer can save by just putting the right price tag on each item especially during clearance sale and other promos. Customers love trying on jewelry that they will be looking for mirrors to see how well it will look on them before making up their mind about what they will buy. Install wall mounted mirror or use display racks with attached mirrors to make it more convenient for your customers. Some shoppers would like to shop for multiple jewelry pieces every time they visit a store. But if they can’t see a shopping basket, or your staffs don’t even offer assistance, shoppers can become easily discouraged that they will be glad to hop off to the next store. Put a shopping basket next to your earring display holders to make it easily available for shoppers anytime. Make your store the go to place for jewelry in your area. Create a jewelry shopping experience that can make your customer feel good and soon they will be raving about your brand. 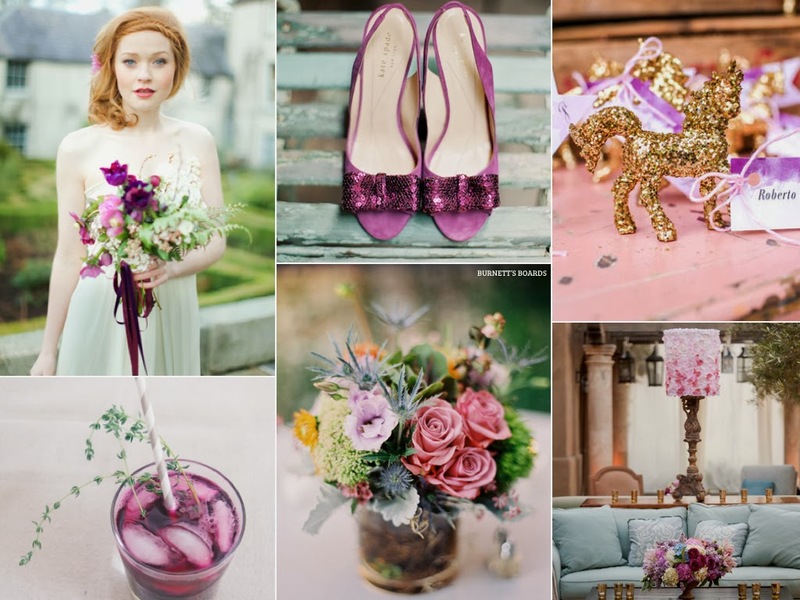 As many of you all know, each year Pantone selects a color of the year and this year it is this beautiful hue known as radiant orchid. Radiant Orchid is perfect for the upcoming spring and summer because it has an eye-catching factor as well as an intriguing intensity. According to Pantone officials, “Radiant orchid emanates health, joy, and love.” This color is similar to purple but has a mix of pink and fuchsia in it. As a jewelry retailer, you should know that color is very important in store and booth décor as well as displays. We think this color would be fun to play around with this year and incorporate it into your look. An accent way is less severe than painting an entire room this color. 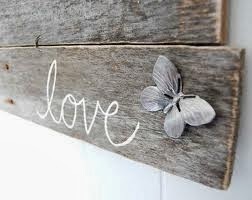 This can look very chic in a boutique space and look simple and elegant at the same time. Leave the remaining three walls a white or cream. Pick out accessories to compliment this look such as a slanted wall displays or acrylic displays on an accent side table. If you use white or black jewelry boxes and shopping bags using sheer organza pouches to wrap jewelry in is another chic touch. Our drawstring styles come in five different sizes and are a subtle way to incorporate the hue into your packaging. You can also use radiant orchid colored tissue paper for a pop of color coming from your packaging. Whatever unique spin you decide to add to your existing aesthetic, we are sure that radiant orchid will compliment it seamlessly. We would love to see how many of our followers love the color. Comment below on your ideas and opinions. Have you ever been in a retail store that makes you feel so uncomfortable that you have to find the nearest exit? It’s often the problem of businesses that has limited store space. If you are a startup entrepreneur who just ventured into jewelry business by renting a small space in your area, this should not be your case. With the store fixtures, equipment and display shelves that you have to use in your business, it’s quite challenging to put everything together without making your store look too crammed. However, with a little research and careful planning, you can come up with ways on how to make your store more comfortable for you and your shoppers. If you’re having trouble when it comes to maximizing your retail store space, here are some tips and tricks that can help you come up with a space saving necklace display stands. Before buying a shelf, make sure that you have explored different options that will work for your floor space. 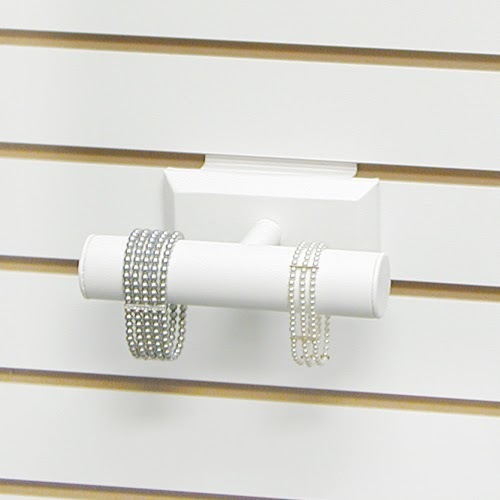 Instead of using bulky wooden shelves, you can use wall mounted shelves to hold your necklace or ring displays. You can also hang shelves at different levels to maximize the vertical space in your store. This can provide visuals that easily capture the attention of shoppers and make them more engaged with your products. Make small space look bigger by painting your walls with rich and bold colors or by using ornaments that can draw the eyes of your customers. You can even use wallpapers with interesting patterns to spice up bare and empty walls. Large mirrors that are hanging in strategic places do not only give you the illusion of space but also makes it easier for shoppers to try on fashion necklaces and statement earrings. 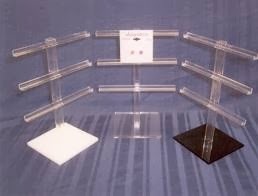 When creating a earring display holders, it’s quite tempting to put everything on the table to give your customers more shopping options. But given the limited space, you have to be smart about product placing and how much space it will take up in your store. Place your jewelry collection in such a way that each of them will have the attention they deserve instead of having to compete with one another. Installing the right lighting in your retail store is essential in making it look more spacious and airy. Use a variety of lighting types to improve the ambiance of your store and to highlight seasonal jewelry that can drive more people into your business. How about you? How do you make use of the space in your jewelry store without making it look too crowded?